Why go to a family dental practice? The office of Dr. James R. Sunners, D.D.S. 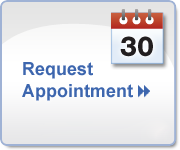 is a full service family dental office with state-of-the-art equipment, procedures and expertise. We provide dental treatment for all family members regardless of age. Dr. Sunners has been a member of the Metrowest community for 25+ years. He is your neighbor who shops where you shop, banks where you bank, eats where you eat and has raised his children in this community. His practice is not owned by any multi-partner major corporation. When you come to this office, it is Dr. Sunners that you and your family get to see. You won’t be just another patient, but someone we look forward to seeing along with your family. We are invested in your family’s dental health and well being. Dr. Sunners has formed lasting relationships and genuinely cares about the well being of all his patients. He provides specialized care to special needs children and adults, seniors and everyone else in between. Dr. Sunners is a dentist for the entire family. Young parents bring their small children for observation visits, rides in the chair and play time with Mr. Thirsty (the saliva ejector.) Those same parents later being their aging parents. There is a comfort in such familiarity for our patients of all ages. Come see why many of our retired patients travel far distances to continue to see Dr. Sunners. We look forward to hearing from you.